Car insurance takes a big bite out of your monthly budget, so it’s important to minimize your premiums as much as possible. 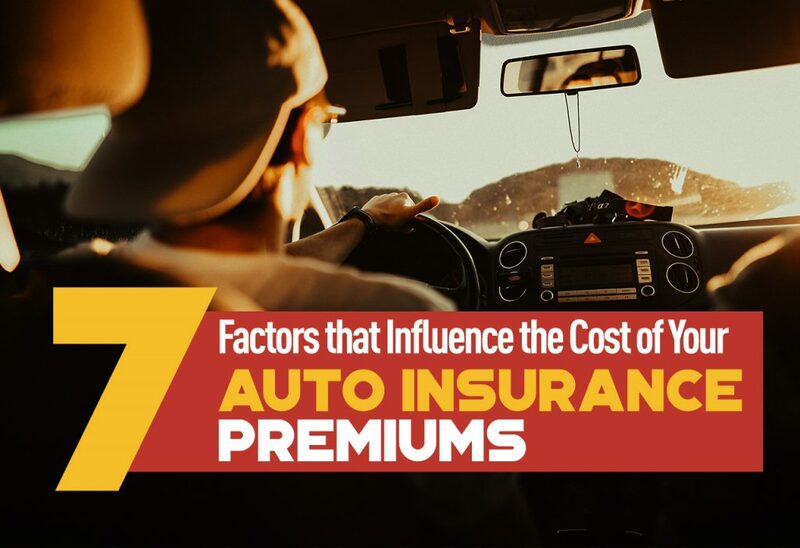 By understanding some of the factors that influence the cost of your car insurance premiums, you can work on making changes that could help bring those premiums down. Though the actual formulas used by insurance companies to calculate premiums are complicated, here are a few factors that go into determining how much you pay. One of the biggest factors in determining your auto insurance premiums is also the one you have the least control over: your age. Since teen drivers have a higher risk of crashing than more experienced drivers, their insurance premiums are also higher. If it’s practical, delaying your teen from driving solo (i.e., driving with an adult with a permit, instead) can save you a lot of money over time, while still getting your teen the driving experience he or she needs to be a successful driver down the road. Insurance claims cover the cost of repairing or replacing the vehicle. Newer vehicles command higher insurance premiums than older vehicles, because they cost more to repair or replace. At the same time, not all new vehicles are created equal. Insurance companies also account for crash test ratings and added safety features to determine the rates they’ll ultimately charge you for your new set of wheels. Another risk for insurance companies is repairing or replacing your vehicle if it gets stolen or broken into. That’s why vehicles “garaged” (the industry term for where you keep your vehicle) in traditionally higher-crime areas are likely to see a higher premium. Though it might not be practical for you to move to a safer neighborhood to try and lower your premiums, you may be able to lower your premiums by adding theft-prevention features to your vehicle. Insurance companies like to see that you’re making every effort to limit their loss. One way to show this effort is to install anti-theft devices on your vehicle. Whether it’s a steering wheel lock, an alarm system, or a pedal jack, letting your insurance company know about your new additions could help reduce your premiums. While you can’t go back and change the past, you can work toward a better future when it comes to your auto insurance premiums. Insurance companies typically look 3-5 years in the past for speeding tickets, auto accidents, and other violations that would suggest you are a higher-risk driver. Because different insurers may weight your driving history differently, it’s important to shop around for insurance quotes. Maintaining a safe driving record in the present allows those driving blemishes to eventually fall off your record, likely lowering your premium in the process. It might seem unrelated, but your credit history impacts your auto insurance premiums. A more stable credit history tends to suggest a more responsible, reliable driver, so if you’ve taken care of your financial health, you may be rewarded with lower premiums. If you continue to improve your credit, shopping around may entitle you to lower insurance premiums at a new company. Every time you drive, the potential exists for you to be involved in a car accident. Insurance companies understand this, providing lower premiums to those who don’t drive as often or as far as the average person. Though you probably can’t change how much you drive for work, you may be able to combine other trips to reduce total annual mileage. Ultimately, insurance companies consider different factors when determining your auto insurance premiums. That’s why it’s so important to compare quotes from different companies before making a purchase. That speeding ticket you had three years ago might be a big deal to one insurance company but only a minor concern to another. The difference could be hundreds of dollars, depending on your situation. With the right insurance in hand, you’ll be ready to hit the road with confidence, knowing you’re adequately protected at the lowest possible price.